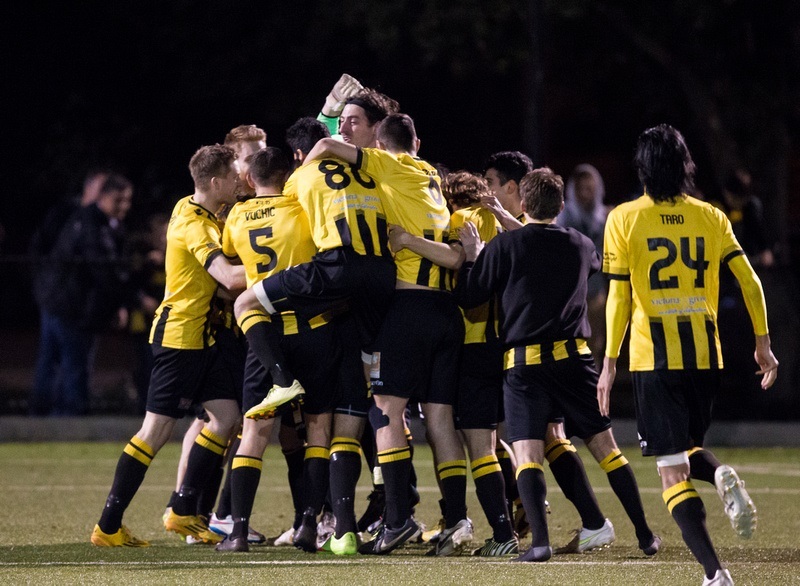 West Torrens Birkalla won through to week two of the finals after a thrilling penalty shoot out victory over Campbelltown City at West Beach Friday night. Birks gave up their home ground advantage but lost nothing playing on the artificial surface which suited their slick passing game . Captain Julian Torresan was outstanding in goal and kept his side in the game late in the first half when full back Tom Dittmar erred with a pass back leaving Torresan exposed but he pulled off a wonderful save and from that point on the defensive unit lifted . Lawrence D’Arrigo ran tirelessly all night in the midfield and Ryan Kitto looked damaging for the entire game but often found himself up against four opponents such is the respect he commands from the competition. Scott Nagel was at his hard running best and had the shot of the night , a rocket from thirty metres which keeper Ben Moore managed to stop but gave him a couple of nervous moments in the process. Our Japanese imports Taro and Aki combined well throughout and set up several forward attacks but in the end the game was won by both defences with no score at full time . Extra time failed to break the deadlock also after Ryan Kitto had the only serious chance narrowly missing with an open header. So a tense shoot out entailed and J.P. Cirillo put his hand up to courageously take the first shot . It wasn’t the best start as he sent the ball way over the cross bar. 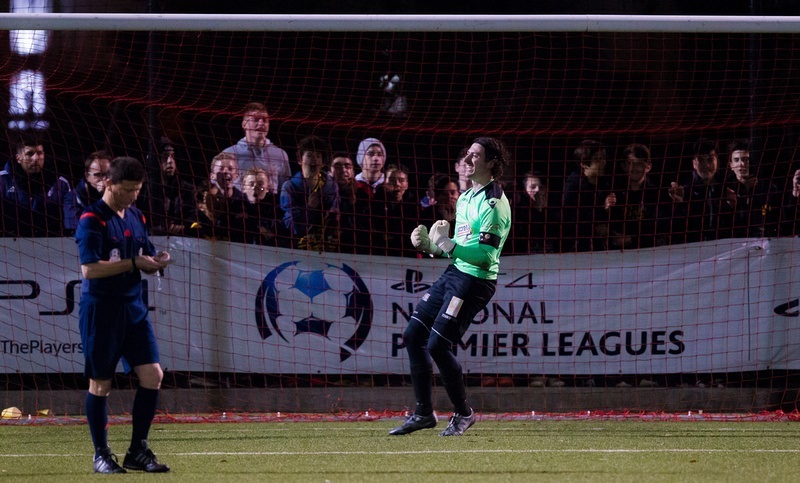 Julian Torresan then became the hero keeping out two of the Red Devils’ penalties sending Birks though to meet Adelaide City Saturday afternoon at Jack Smith Park.